Buzzwole in game: 873 Who? Important notice! Pokemon Buzzwole is a fictional character of humans. Buzzwole (Japanese: ????—? Masshibun) is a dual-type Bug/Fighting Pokémon introduced in Generation VII. It is one of the Ultra Beasts and is known by the code name UB-02 Absorption (Japanese: UB02 Expansion). Buzzwole is an Ultra Beast that resembles a large, red, anthropomorphic mosquito. It has bulging muscles that appear to be made out of sacs that are filled with a red fluid that has small white bubbles rising in it. These muscles also have white "veins" running through them, and are said to be stronger than steel. There are also black spikes on Buzzwole's body, particularly its shoulders, elbows and knees. Its head is small and flat, with two red compound eyes, and two black, spherical basal joints for its red and black antennae between them. Protruding from under these joints is a long, silver proboscis, which is said to be as hard as diamond. It has four legs without feet and two pairs of orange, translucent wings. According to the Aether Foundation, its most notable feature is its ability to strengthen itself. By absorbing the energy of its foes, it triggers a chemical reaction within its body fluids that causes its muscles to grow at explosive rates. Buzzwole appears to strike bodybuilding poses before it performs any sort of action; this is thought to be its main form of communication, but what it could be trying to communicate is not understood. Moves marked with a superscript game abbreviation can only be bred onto Buzzwole in that game. 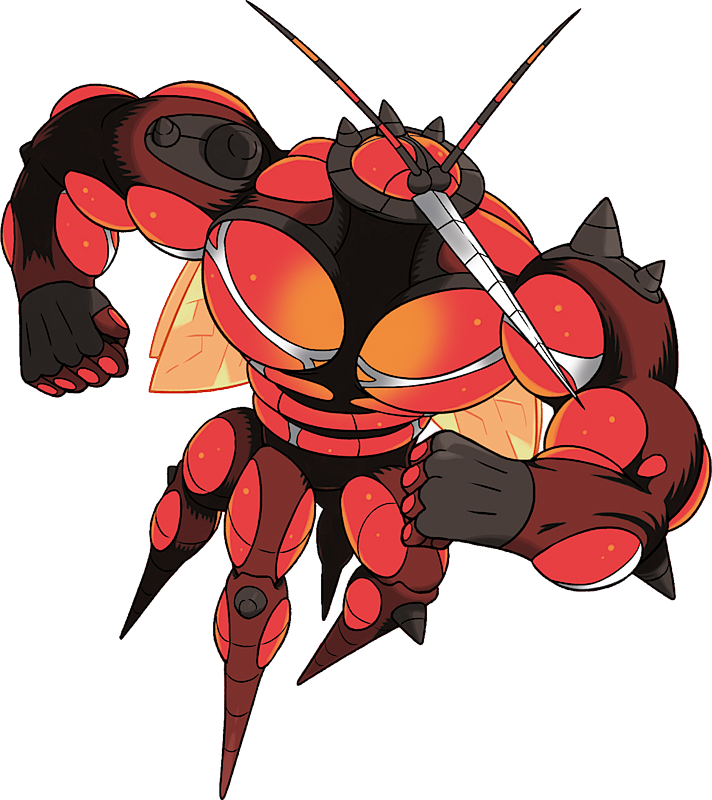 Buzzwole has the highest base Defense stat of all Fighting-type Pokémon as well as the highest base HP of all Bug-type Pokémon. Buzzwole is the heaviest of all Bug-type Pokémon and the tallest and heaviest of all Fighting-type Pokémon. In version 1.0 of Pokémon Sun and Moon, Buzzwole's code name was spelled incorrectly in Japanese as (Japanese: UB02 Expansione), despite being spelled correctly in pre-release material. Buzzwole is based on both a mosquito and a bodybuilder. 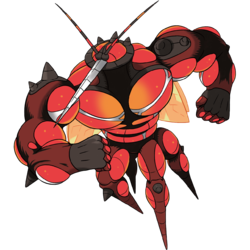 Buzzwole may be a combination of buzz and the slang swole, which refers to someone muscular. Masshibun may be a combination of massive, ? bun (mosquito), and ?—? bun (buzz).